Following the premiere, Scarlett Johansson attended the 'Avengers Endgame' photocall at the Corinthia London this morning(April 11th) in London. 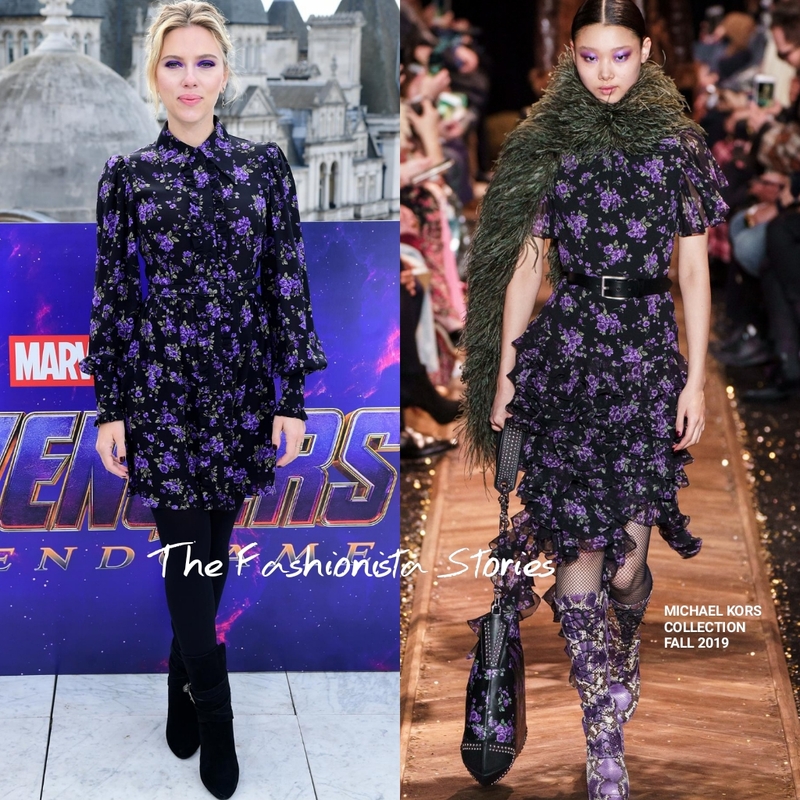 For her appearance, she wore a MICHAEL KORS COLLECTION FALL 2019 long sleeve purple and black floral shirt dress, which was belted at the waist. ScarJo's exact dress wasn't shown on the runway but the print was featured in a different version of the dress. Her look was styled with black opaque tights and black SAINT LAURENT suede boots. Beauty wise, she went with a center part up-do, and a coordinating purple smokey eyes which was offset with an glossy natural pink lip.